An overheated engine can spell trouble on the road for you, which is why knowing the causes of a car overheating can be most valuable. Tim at GT Automotive explains the various causes of engine overheating, and how you can anticipate possible car overheating, as well as avoid expensive bills from overheated engine repairs. What Causes a Car Engine To Overheat? 1. Low Coolant Level, or No Coolant at all. 3. Air Blockage To Radiator. 4. Broken, Torn, or Faulty Head Gasket. 5. Faulty Electric Fans or Fan Motors. Any of the above causes will begin a rise in your instrument panel temperature gauge. Tim suggests you pull over and get professional assistance if your temperature gauge rises to 2/3 or above the meter. Getting one of the above repairs done will cost you less than major engine damage from operating an overheated car or truck. For regular maintenance, Tim also suggests replacing your anti-freeze or coolant every 30,000 miles (for standard green color anti-freeze), and every 60,000 miles for extended high mileage anti-freeze (red, orange, pink, dark green, purple, or yellow colored coolant). Since issues with your car’s overheating could be from a number of causes, call us at 801.302.0912. We will inspect, diagnose and fix your car or truck to help keep your engine from overheating, and operating at peak performance-even when the Utah weather is hot! 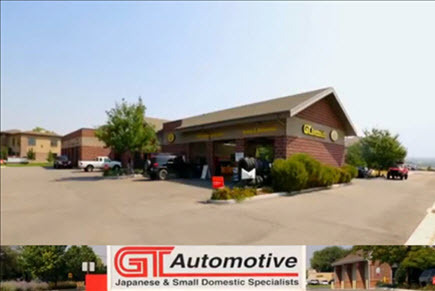 GT Automotive has ASE certified technicians for car ac repairs for all make and model vehicles. We can inspect your car during our Express Oil change, and help keep your vehicle operating safely in all seasons. Call us today, 801-302-0912, about auto engine repairs and service in Salt Lake City.